4k00:154K, Waves from a motorboat close up, Wave in the lake. hd00:20Close-up of female throwing flour on a dough sheet in green nature blurred background. Ingredients and preparation stages. Slowmotion shot. hd00:13Making pizza or pide dough by close up male hands in pastry kitchen. 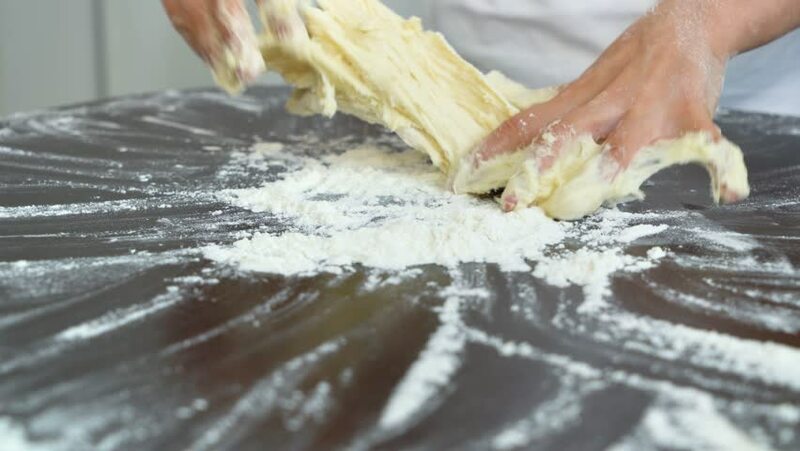 Shaping dough is precursor to making a wide variety of food stuffs, particularly breads, biscuits, cakes. Slow motion video.